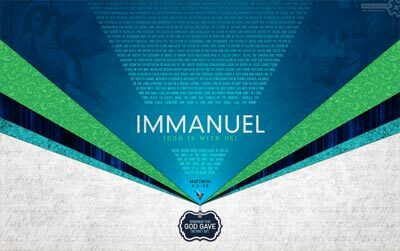 As Christmas approaches, we are pleased to announce Radiant Inspiration desktop wallpaper #144: "Immanuel", inspired by Matthew 1. This holiday season, remember that it was God who gave us the first gift. Download the new wallpaper here or visit Radiant Inspiration for more wallpapers.